Los Angeles, CA — Soulful pop singer-songwriter, Spencer Sutherland, has released the official music video for his single, “Wallpaper.” The new offering just premiered exclusively on Idolator and can be viewed HERE. “Wallpaper” appears on Spencer’s debut EP, NONE of this has been about you, which was released last month via BMG. The five-track effort is an introspective journey that spotlights his signature tone and falsetto, reminiscent of the 60s with stripped-down 80s-inspired production. Listeners can hear traces of his major influences on the record, ranging from Marvin Gaye and Bruno Mars, to Prince, Elvis, and The Temptations. Spencer’s honest and relatable approach to lyrics, in tandem with his powerful live performances, culminate in what is being lauded as a fresh new sound in pop. Spencer kicked off 2019 with a bang and is an artist on the rise, to say the least. After inking his first major record deal, he unveiled his infectious lead single, “Sweater,” which scored impressive Apple Music playlisting including Breaking Pop (Global), Best of The Week (#2 spot), Hot Tracks (#1 Pop spot), Top Songs–Pop, and Beats of the Week. The smooth and lush title track from his debut EP also landed on Apple’s The A-List: Pop (Global), Pure Pop 50, and Breaking Pop (Global). Additionally, Spencer racked up his first New Music Friday playlisting on Spotify with “Freaking Out,” his vulnerable and vibrant latest song. Spencer played his first ever sold out headline shows earlier this year in New York City and Cincinnati and is currently on the road supporting Jack & Jack on a massive tour across North America. The trek stops in Orlando this evening and hits major cities including Atlanta, New York, Boston, Toronto, Chicago, and more. A full list of dates can be found below, with tickets available to purchase HERE. Spencer will be releasing his sophomore EP later this year and is currently working on his full-length debut album. Stay tuned for more news to come. Based in Los Angeles by-way-of Ohio, Spencer Sutherland began to garner mainstream recognition in 2017 with his single, “Selfish,” which was heard on multiple Apple Music Pop Playlists, Sirius XM-Venus, Spotify, Pandora, and iHeartRadio stations. This led to iHeartRadio’s Elvis Duran selecting Spencer as The Today Show’s ‘Artist of the Month,’ followed by him earning a spot among the Top 5 finalists for iHeartRadio + Macy’s Rising Star competition. He was also the first American to compete on the X Factor UK and landed as one of the top 12 finalists on the show. have released a debut single, “Philophobic” on Valentine’s Day. They quickly teamed up with director/producer David M. Weiss and producer Angela Root with D.M.Weiss Productions to pair with the song a music video that would inspire humor through creative visual themes and a song that digs deep into the unpleasant sides of attraction. This new tune, mixed and mastered by Grammy-nominee Tom Ware at Warehouse Productions, is a story of the darker side of love and of the negative emotions that can come attached to it. The video revolves around a newly formed relationship between the mythological beast known as Sasquatch and a beautiful, blonde woman (Gina Comparetto) who seems poised to turn this hairy wonder into her ideal man. Watch the video HERE. The power trio was formed initially as a four-piece in 2011 under a different name, but after tumultuous events on the road to stardom, the remaining three members have rebranded and are getting ready to hit the ground running yet again. Along with a new batch of hard-hitting, catchy tunes, the group has brought their live show to an energetic level that contagiously keeps the party rocking. The Party After has plans to continue releasing more singles, and possibly more video content, before the end of the year. If they come near you, don’t miss the chance to see this party in action! Los Angeles, CA – BMG is excited to welcome Jocelyn to the recorded music family! The Omaha-based singer/songwriter unveiled her debut single, “Speak Up,” last week, which is available to stream/download HERE. The official music video is also out today and can be viewed HERE. The uplifting and infectious track was co-written in Los Angeles with producer/composer, Denny White, (The Fray, Tiësto) and chronicles a personal bullying experience she endured and how she worked to overcome it. With its righteous chorus, catchy guitar work, driving bass, and bombastic beat, listeners can hear traces of her major influences – from Shawn Mendes and Gabrielle Aplin, to Ben Howard and Ed Sheeran. 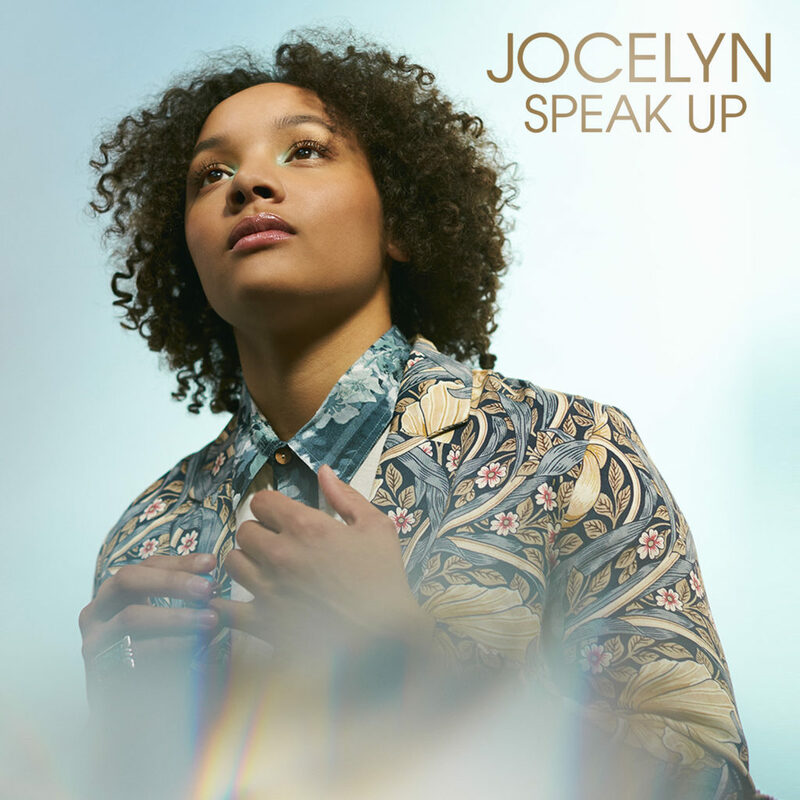 Jocelyn’s powerful voice, mesmerizing stage presence, rhythmic guitar playing, and tireless work ethic puts the heart into Heartland, utilizing her natural talent and mature perspective to connect with listeners no matter what venue she plays. 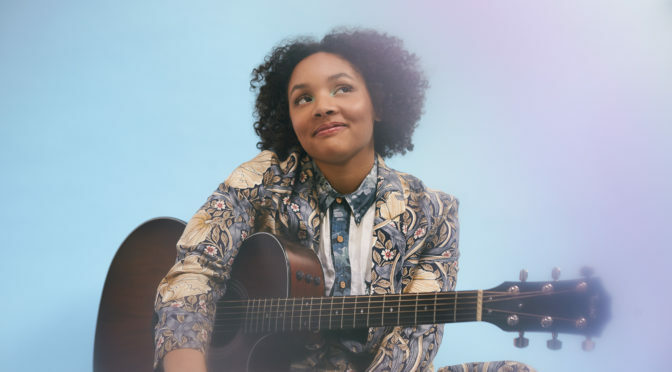 Her career began to take off when a viral video for her original song, “Just Like Everybody Else,” went viral and brought her worldwide attention. Soon she was performing on TV for Steve Harvey’s “Showcase” at the world-famous Apollo Theater and for Darius Rucker on an episode of “Celebrity Undercover Boss,” in addition to garnering notice from media in her hometown. She’s also become a staple in her local music scene, recently winning Best Pop Artist and Artist of the Year at the Omaha Entertainment & Arts Awards. Jocelyn is currently working on her first full-length album and will be releasing more music throughout the year. In the meantime, stay connected with her on her socials below. 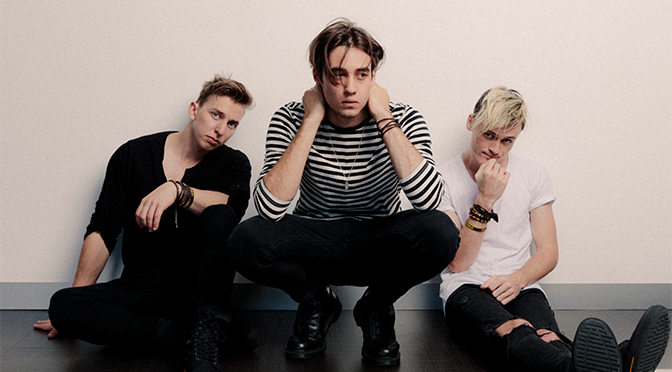 Los Angeles, CA – Today, The Faim have teamed up with Ones To Watch to premiere the official video for their latest single, “A Million Stars.” Watch it exclusively HERE. The video was filmed in Berlin, Germany and follows frontman Josh Raven as he reminisces over a past love interest. 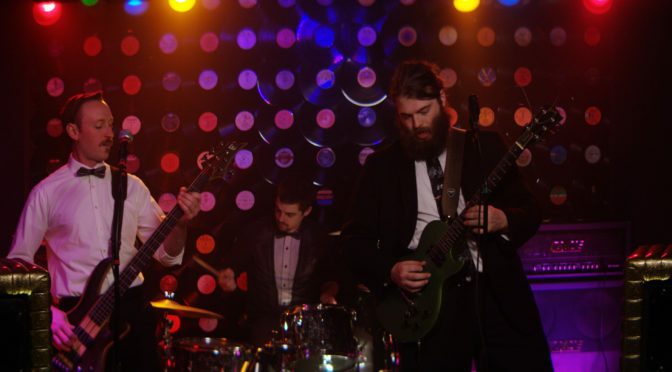 “A Million Stars” also appears on the band’s debut EP, Summer Is a Curse , which serves as a prelude to their hotly-anticipated first full-length album, slated for release in 2019. In other news, The Faim is excited to announce their first ever U.S. tour, supporting fellow Aussie natives, Hands Like Houses, in November and December. The group will also share the stage with Emarosa, Devour The Day, and Arlington. The trek begins and ends in California, kicking off in San Francisco on Saturday, November 10th and wrapping in Los Angeles on Sunday, December 9th. The run of dates also hits major cities including Chicago, Boston, New York City, Philadelphia, Nashville, and Atlanta. The Faim is also currently on tour in Europe supporting Against The Current, which concludes in Paris next week on Thursday, October 11th. A full list of shows in included below, with all tickets available for purchase HERE. 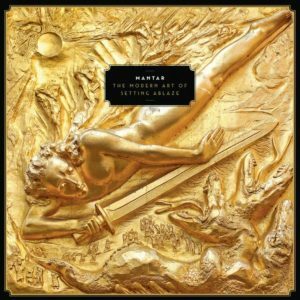 Monstrous black/doom/punk chimera MANTAR have released the official video for another brand new song off of the band’s new album, The Modern Art Of Setting Ablaze , set to be unleashed August 24, 2018 via Nuclear Blast. 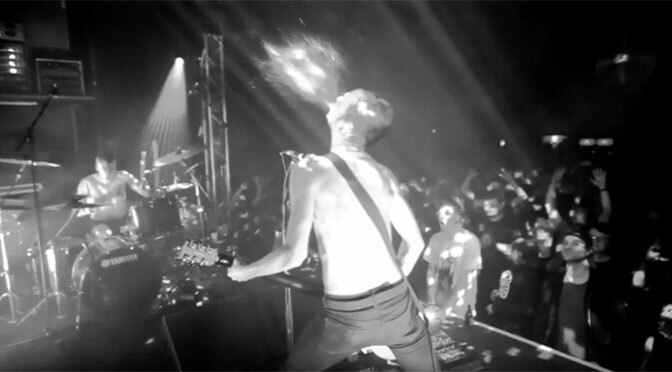 In case you missed it, watch the intense new music video for the track “Age of the Absurd” here. Stay tuned for more information coming soon regarding the release of The Modern Art Of Setting Ablaze.